According to concepts formulated mythically in the Hindu Puranas and restated in H. P. Blavatsky's Secret Doctrine, humanity in the present period of the earth's evolution was formed by two classes of "progenitors": the Barhishad Pitris or "lunar ancestors" who gave human beings their "astral forms" (or chayahs), around which the physical body concretized; and the Manasaputras or "solar ancestors." The latter also are called "Flames," "Givers of Mind," and Kumaras, or in terms related to Greek mythology, Promethean spirits. Under a great variety of names, the Manasaputras (in Sanskrit manas broadly signifies mind) are said to have brought to protohuman beings the "fire" of self-consciousness and spiritual will, thus the ability to make self-motivated choices and be responsible for them. In the outline of the Movement of Wholeness I have presented, the final "descent" of these "Givers of Mind" to the biosphere was crowned by the polarization between the Godhead and Natural Man at the symbolic Noon of the planetary cycle. Before this turning point in planetary evolution � the point at which the overpowering principle of Multiplicity is dynamically challenged by the henceforth rising principle of Unity � beings existed with a human form yet without the principle of individualization. This principle � which is the root of the true spiritual will � can be considered a "gift" from the all-inclusive Compassion of the Godhead state. This divine Compassion calls for a new universe because the old one ended with a large number of failures, some total, most others at least partial. All failures, as well as successes, must be included in the Unity-dominated consciousness of the Godhead. The need of these failures � their very presence as a mostly subjective "memory" � calls for a new opportunity to reach the perfect state of Illumined Man. The Barhisad Pitris (lunar progenitors) are the partial failures of a past planetary or cosmic cycle. At least they are mythic personifications of the karma (collective and individual) left by the old cycle. If the principles of this picture of the genesis of mankind are applied to an individual human being now living, we have to deduce that this now-living person has a previous person as his or her own lunar progenitor. The present person also is likely to be the lunar progenitor of a future human being. This does not mean that the present person is the previous person or that the future person will be the present person reborn; a child is not its parent and the mythological scenario does not say that the lunar progenitor is the new human being. The Hindu story says that the astral form of human beings was transmitted to them by lunar beings who had lived in previous cycles; what was transmitted was their karma. We � living human beings � are "charged" (as it were) by the Compassion of the Godhead state � the highest principle in our total being � to neutralize the ancient failure of our lunar ancestors, the Barhishad Pitris, by performing (we might say sacramentally) the dharma that will neutralize these failures. These failures are now our karma. Our astral or psychic nature (body of desire) is filled with this karma, structured by it. This nature is our lunar (lower) self, our personality. Yet this personality is not merely the karma of the past; it also is the way to neutralize it � our dharma. In this sense the lower mind and the desire-nature (kama) together constitute one side of a coin, the other side of which is the higher mind and the spiritual Quality. Karma and dharma are the same structure. Karma is the negative aspect, yet it "expects" and longs to be "redeemed" by the action of the positive dharma. This longing is at the root of the devotional aspiration, toward a redeeming God, Avatar, or Savior, which is innate in all human beings. In an individualized person, devotion and the longing for redemption can be transmuted into the active will to rise above the conditions imposed by biological instincts and sociocultural imperatives. When a person says, "I was such-and-such a person in a previous life," he or she actually identifies his or her present personality with the karma left by a past human being � thus with the quality of the desires this deceased person experienced and exteriorized into objective responses, which inevitably included discordant acts or the refusal to act when action was necessary. The life of the deceased may have had good features, but the spirit oriented or spiritual aspect of the dead personality was absorbed and assimilated by the spiritual entity in that person after death. What remains is essentially, the memory of the unfinished business and the failures of the past. The new person is born primarily to deal with these failures. If I say, "I that past person from whom I inherited my personal sense of self (my lunar selfhood)," I am, I repeat, identifying myself and my desires with a set of karmic failures. What I ought to do instead is to identify the concrete mind within me with my dharma (the higher mind). Very general knowledge about the karma one has to transmute may be valuable at a certain stage of the evolution of consciousness; but it also can give power to the negative factors in the desire-nature by rationalizing their objective manifestation and inciting one to concentrate attention upon them. In general, the same can be said about many forms of psychological introspection and many analytical psychological procedures which are fashionable now. What is needed instead is for the lunar self to attune itself to the solar being within � the archetypal dharma-mind and the spiritual will � and to allow the meeting (fleeting as it must be at first) between the spiritual Quality and the desire-free and doctrine-free ego to occur within the field of a united mind. This field is the "body of individuality." In The Planetarization of Consciousness I called it the ideity field. A "field" should be called a "body" only when a centralizing principle can operate fully in it � as, for example, the ego operates in a physical body. The operation of the centralizing principle in the ideity field is the will. In the lunar desire-body, the ego-will is at work once the lower or concretizing mind has given a stable form to the multiplicity of desires and personal reactions to relationships with the outer world. In the body of individuality, the centralizing factor is the spiritual will � the operation of the principle of individualization, which is the lowest aspect of the triune spiritual entity. 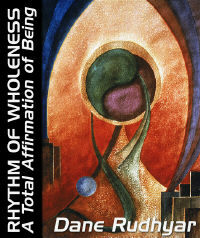 For this spiritual will to operate effectively and consistently, the higher mind must have given an archetypal form to the body of individuality. It then presumably is the karana sharira, a Sanskrit term usually translated (inadequately I believe) as "causal body." It is "causal" in the sense that an acorn is the "cause" of an oak tree. Thus I have spoken of the "God seed" at least latent in all human beings. The difference between this God seed and an ordinary vegetable or animal seed is that in Man a psychic (or astral) entity stands between the God seed and the physical body. This psychic-astral entity is there because a human being generates karma: he or she can be existentially what he or she essentially is not. Plants and animals cannot fail to perform their dharma; they are compelled by instincts and tropisms. Human beings, on the other hand, are only impelled by desires � unless they have totally lost the human power to choose and have reached a subhuman state through constant misuse of the power of will, as, for example, through the steady practice of "black magic," eventually becoming the total failures of human evolution. However, because a human being can be a total failure, he or she also can be a total success. In religious terms, the light of a heavenly union with God predicates the fires of hell; but even the Christ-being could reach complete union only after, out of pure and all-inclusive Compassion, he experienced hell for "three days" (that is, totally). Moreover, any individual must emerge by his or her own power from the matrix of the collective psychism of the culture in which he or she was born. This emergence is never an absolute separation, even if the individualized consciousness believes it is. As long as a human being has not passed through the Gate of Silence in full consciousness as Illumined Man, the power of the collective is still active in the psychic depths of his or her desire-nature. This power urges participation in relationships in which either pleasure and pain, enjoyable possession and tragic but often stimulating loss, can be experienced. After death, the memory of all the relationships one has participated in remains as a binding force, as karma � unless one has completely understood the meaning of the relationships, of their results, and of the desires that engendered them. Such an understanding � a full experience of meaning � should give rise to Compassion. Then karma, which is an unconscious instrumentality for the operation of Wholeness, dissolves into Compassion, the positive and conscious power of Wholeness.